Today’s post is dedicated to a group of women I am honored to call my sisters; the Beta Gamma chapter of Alpha Omicron Pi. 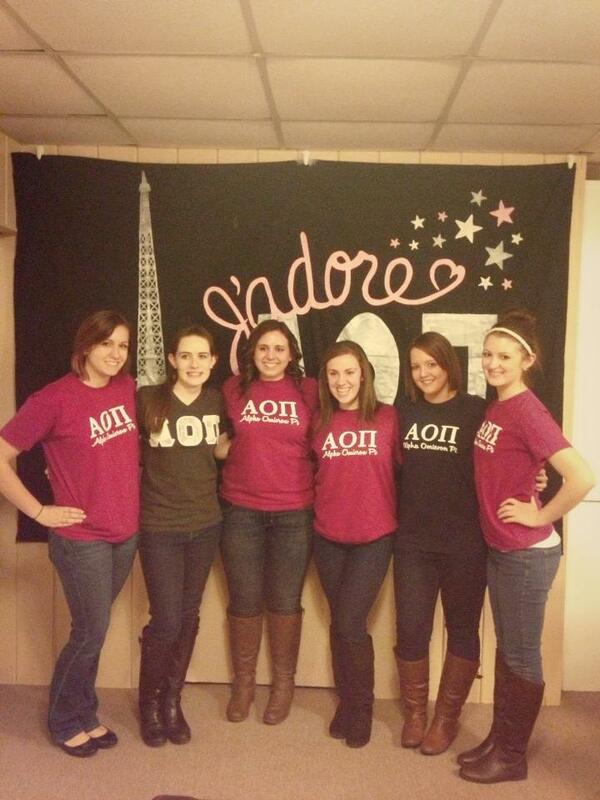 This weekend has been AOII filled! I spent 12 hours (standing) Saturday at Dance Marathon for our Greek Week competition. Then we had chapter yesterday evening, as usual. I’ve spent a lot of time with my sisters and I couldn’t be happier about it! This weekend has reminded me how wonderful they all are and how much I love them. I know it’s cheesy, but it’s completely true. AOIIs & KEs at Dance Marathon! 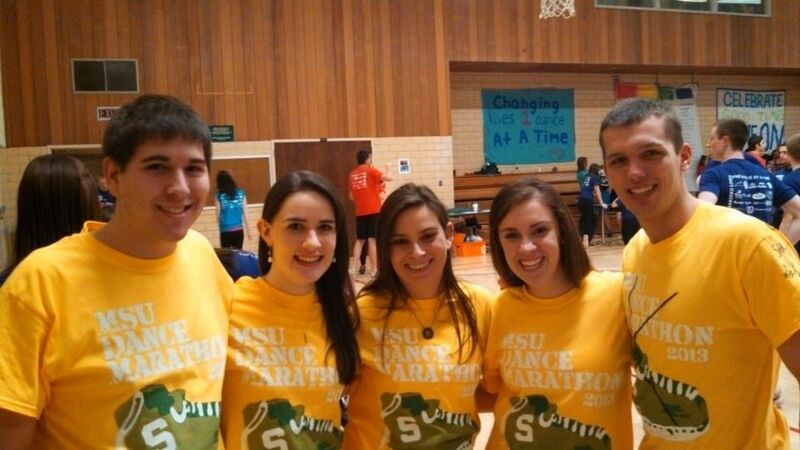 Not only was Dance Marathon a ton of fun, it was for a great cause! The money we raised went to the Cassie Hines foundation, to help send young adults 16-30 to cancer camp to help them connect with others their age with cancer. It provides them a support group of other individuals facing the same challenges they are. Cassie Hines unfortunately lost her battle with cancer, but her memory lives on through MSU’s Dance Marathon & the foundation in her name. Dance Marathon raised over $25,000 this year! If I didn’t get enough sorority time on Saturday, I had brunch and a chapter meeting on Sunday. I mean, who doesn’t love brunch? Brunch at AOII always involves lots of stories and laughs, not to mention the good food! Then, Sunday evening we held ritual and a chapter meeting. The important piece of this was our chapter development workshop. First, shout out to Morgan, our VP of Chapter Development, your workshop was A-M-A-Z-I-N-G.
For the workshop, Stand Up for Your Sister, everyone was given a series of statements, some positive, some negative and you marked next to each statement that applied to you. Some of the statements included: “I think we have a stronger sisterhood than other chapters on campus” and “I wish my sisters were more supportive”. Our VPCD collected all the papers and redistributed them, so all the responses were completely anonymous. She read out each statement and if it was marked on the paper you had, you stood up. This was so powerful and truly eye-opening. When we had gotten through all 25 statements, we had an honest, open conversation about our chapter and our sisterhood. To anyone who is not a part of greek life: it’s not always amazing. I’ll be completely honest, there was more than one negative statement on the list I agreed with. However, sitting in a room with over 50 other sisters and being able to be completely honest about how you feel shows you one of the best parts of being greek. 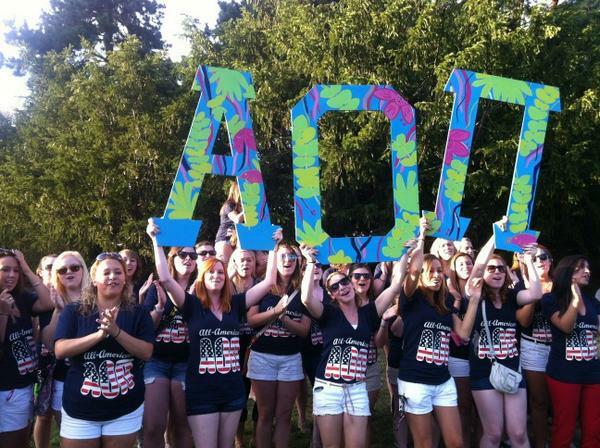 My chapter has a really great sisterhood (in my opinion, at least). Of course there is room for improvement, but we’re pretty darn great. This was one of the longest workshops we’ve done as a chapter and we talked for a good 45 minutes. During that 45 minutes we laughed, we cried, and most importantly, we realized that we all feel the same way about a lot of things. We all have struggles and we don’t always show everyone else what a hard time we’re going through. No chapter is perfect, no matter what you may think. I also encourage you not to judge an entire chapter by one member. Greek life is one of the best choices I’ve ever made. Despite it’s ups and downs, I know AOII has helped me become a better person and I know it will continue to help me for years to come. I am absolutely blessed to be a part of such an amazing sisterhood. I love these girls to the moon and back and I will always be there for each and every one of them. I don’t know what I would do without them. p.s. I most definitely shed a tear or two while writing this! Alpha love from a young Alpha Psi alum!